Among the Igbos of southeast Nigeria, people (especially men) are given special titles. Originally, these titles were based on some special things they had accomplished for the community. Those who exuded widely felt charitable gestures were for instance given titles like “Onwa na etiri ora” (the moon that radiates for all) “ochiri ozuo” (the one that gathers people and trains them) “Omere ora” (the one who does good for all) “Odiuko na mba” (one in a million). If we take our minds back to Chinua Achebe’s “Things Fall Apart”, we can recall that the dramatis personae (Okonkwo) was given the special title “Ebube Dike” (the man with great might) on account of his exceptional feat as a great farmer, wrestler and warlord. In fact, among the Igbos (in the days of strict observance of the tradition), a man merits a title, he does not acquire one with money nor with cheap popularity. Today in the gospel (Matt. 5:13-16), we see our Lord Jesus Christ creatively inventing two special titles (or characteristics) for us: “Salt of the earth” and “Light of the world”. These titles are however obtainable by merit not by default. It was instructive that late Pope John Paul II recommended the same title to the youths during the World Youth Day in Toronto Canada 2002. 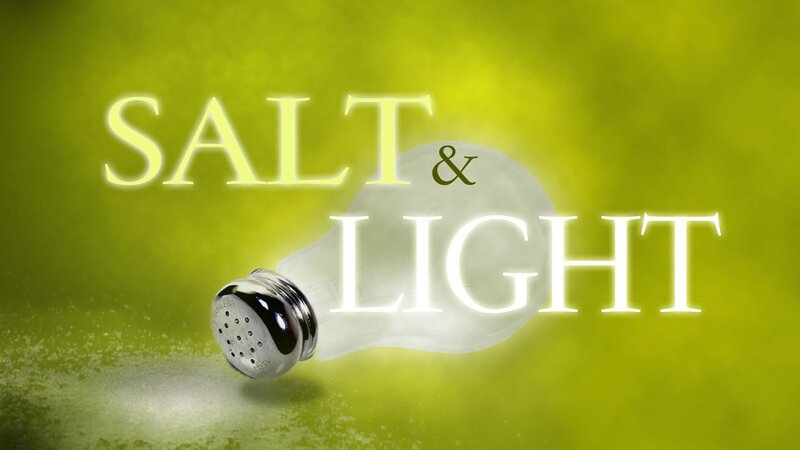 Before launching into discovering how we can merit these two titles, it will be important if not expedient for us to take an insightful look at these two phenomena “Salt and Light” and why our Lord used them instead of other elements. Melting of ice or snow. Test for rotten eggs: Put an egg in a cup of water to which you’ve added two teaspoons of salt. A fresh egg will sink, but one that is rotten will float. It is also of great informative value to know that the English word “Salary” is derived from the latin “salarium” which in turn comes from the latin root “Sal” which means salt. In ancient Rome, soldiers were paid salt as remuneration or salary as it was then of great value. Strictly speaking eating food without salt can be a disgusting exercise; but a pinch of salt makes a different in a meal. The actual difference between a meal without salt and the one with salt is all about taste. Hence for salt to be worthwhile it must be able to add taste to the meal. The same applies to its ability to fulfil the other functions mentioned above. Plants use light for nutriment and growth through the process of photosynthesis. Light is used for drying and preservation. Light is used for heating. Light is used for cooking and warmth. Natural light from the sun can be converted and used in many others beneficial ways. Similar to salt, light functions in making a difference or a contrast. When there is no light whether natural or from any other source of brightness, there is usually darkness. When lights comes in there is usually a notable difference. Our lights will break forth like the dawn. Our light will rise in darkness. Our healing shall spring up speedily. Our righteousness will go before us. The glory of God shall be our rear guard. We will call and the Lord will answer. By virtue of our baptism we are initiated into the community of light. We remember that in the ceremony of our baptism we were presented with lighted candles upon which we were instructed that they must be kept burning. The light that is meant to burn is not really for our selfish sakes. It is on this conviction that our Lord Jesus Christ added that our light must shine in such a way that when people see our good works they will give glory to God (Matt. 5:16). This simply means that our good works supplies the light which brings brightness into people’s lives. You become a light for others when you extend a hand of charity. You become a light when in the midst of lies you stand for the truth. You become a light when you return love for hatred, peace for war, smile for a sigh, and strength for weakness. You become a light when you bring brightness into some destructive dark corners, and you become a light when you bring warmth into people’s cold attitudes towards God and His things. You become light when your presence brings about integral growth. Our active attention to these will amount to our meriting the titles of SALT OF THE EARTH and LIGHT OF THE WORLD and proudly attach them to our names. However we cannot become these if we do not establish and maintain active synergy with the virtues of faith hope and love (1 Cor. 13:13). Above all of them is love which is God and His propelling power (1 John 4:8). I could also be true that as much as we try to be Salt and Light to others we get attitude instead of gratitude but this should never deter us it also happened to our Lord Jesus Christ in the course of his earthly life. Do have a most resounding week ahead and remember to be SALT of the earth and LIGHT of the world. Nice one.May God give us the grace to be the salt and light of the world. I love this homily. I wish I will be receiving it in my mail box every weekend, so won’t be searching fb always for it.